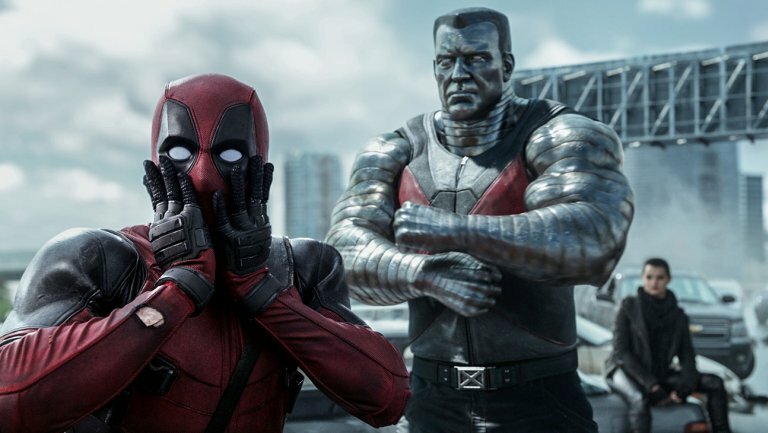 Deadpool 2 is one of the most anticipated Superhero movie coming out in 2018 after Avengers Infinity War. 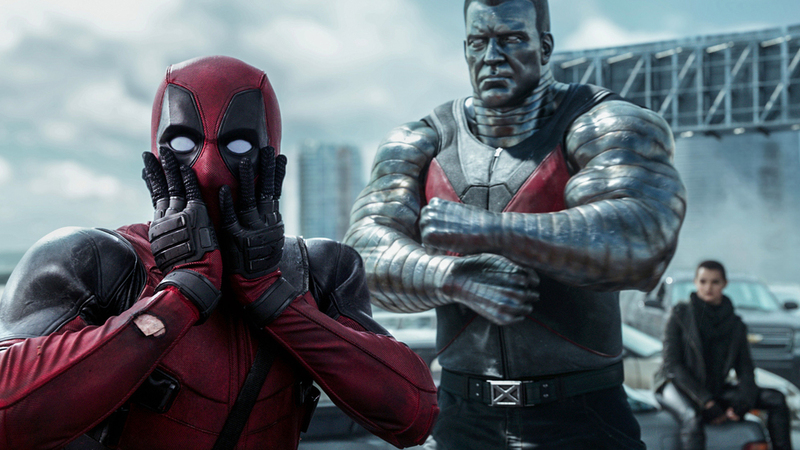 Deadpool was one of the best superhero movies of 2016 and was the highest grossing R-Rated movie ever made. The movie has aroused huge expectations among X-Men fans and rightly so as the first movie’s global box office collections crossed $800 million marks while the cost of production was less than $60 million, making it the most successful superhero movie in the entire X-men franchise. The entire team of the original movie is coming back, from Blind-Al to Vanessa, the driver, Collossus and Negasonic Teenage Warhead will be reprising their roles. 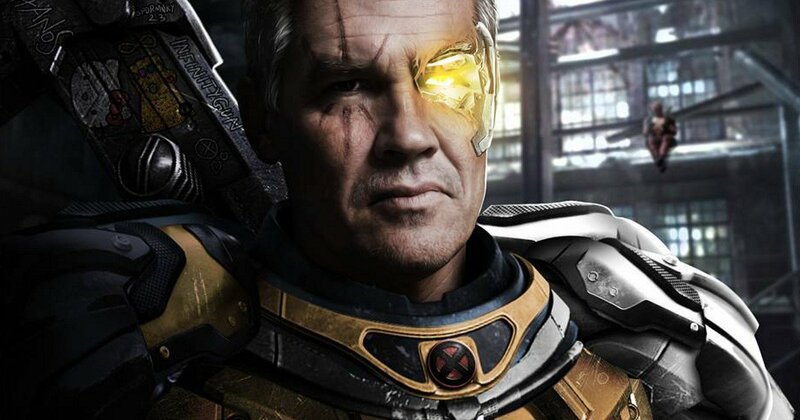 Cable is in the mix, he is the time-traveling son of Cyclops and Madelyne Pryor (a clone of Jean Grey) who was trained to be the warrior in the future. His girlfriend Domino played by Zazie Beetz will also make an appearance. Moreover, Domino (mercenary turned X-Men) has been confirmed by the makers. 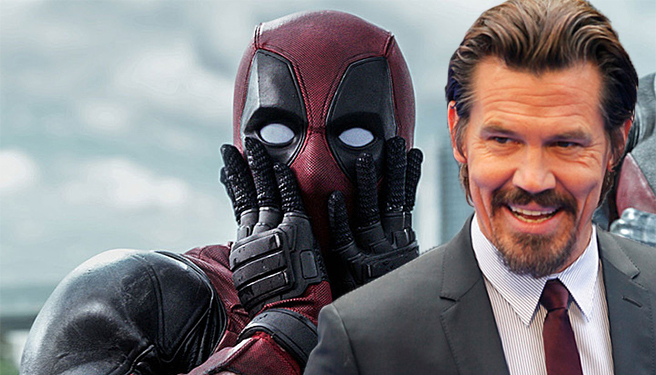 Both of these will play an anti-hero in order to balance the scales to Deadpool’s “happy go murdery” persona. But during the making of this action movie, a very tragic accident occurred on the sets. 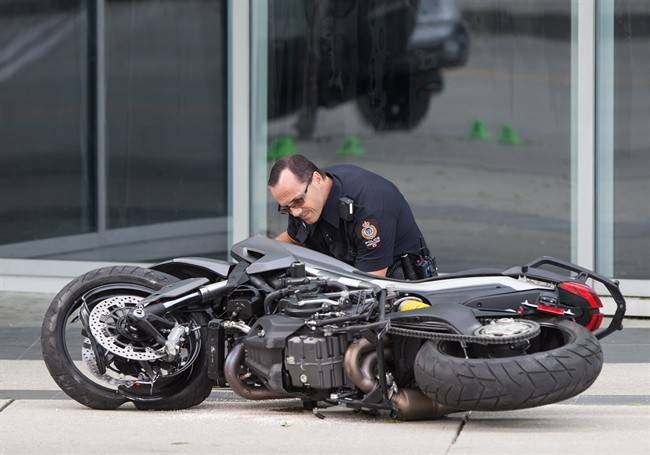 A very sorrowful event where stuntman was reportedly killed when a motorcycle stunt went horribly wrong. 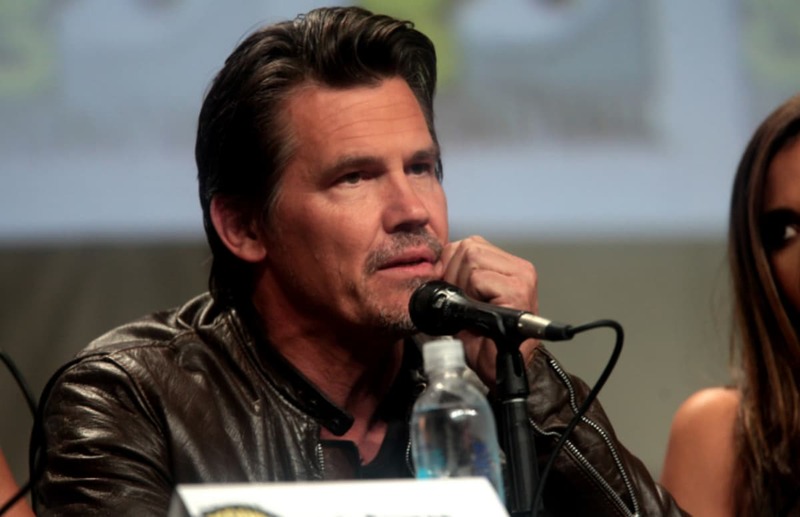 The Report first came in from ‘TMZ’ about the accident that happened while filming the movie. 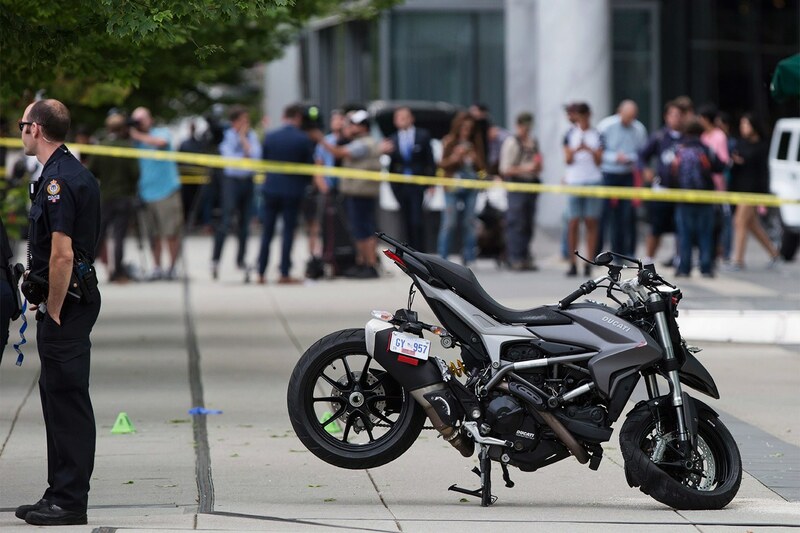 According to the reports the rider, who was female, went airborne in Vancouver Monday morning during filming for the movie. Her bike crashed through the glass of a ground-floor studio inside Shaw Tower near Jack Poole Plaza. Witnesses say she never applied the brakes. 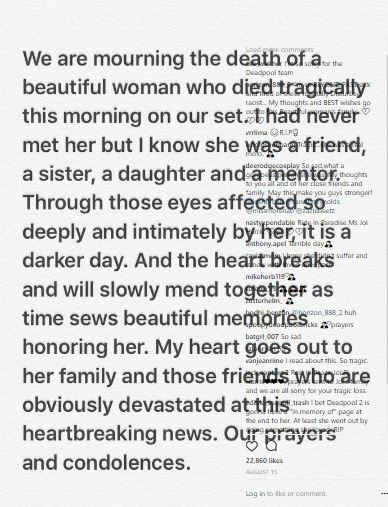 Ryan Reynolds has also tweeted about the tragedy and is pretty saddened about it, well we all are. A Spokesperson from 20th Century Fox has also weighed in on this. Here is what he said about the incident. 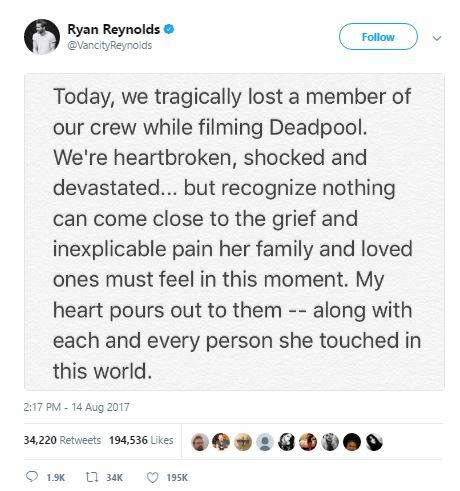 The production of the movie resumed after 48 hours after the accident and Ryan Reynolds observed a moment of silence with the cast and crew. It comes a month after another stuntman John Bernecker died on the sets of Walking Dead after he missed the safety pad from a 20-feet fall also deemed an accident. 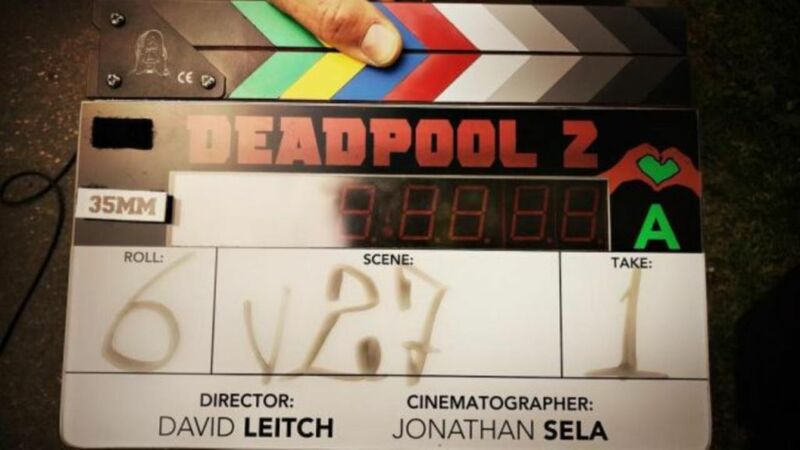 Deadpool 2 has wrapped up production and will be releasing on June 1, 2018 with a tribute to Joi Harris for sure.